While I’m on the advertising topic, here’s another great opportunity I’d like to share. I am in love with planners. Physical, textual, paper-full, colorful, logistical planners in which to write All The Things. For the past few years, I’ve used and loved The Time Keeper. But I’m ready to step up to a larger planner, with more options. My sister-in-law Chastin recommended Plum Paper, a website offering highly customizable, personal planners. The weekly spread has a lot of customizations available. I like the ME choice, where each day is given seven slots that you can custom title as you wish. Example: devotions, morning, afternoon, evening, menus, fitness, to-do, etc. Or you can pick the simpler MAE choice: morning, afternoon, and evening slots for each day. You can also name the sidebars of your page. Task list or grocery list? Notes, prayer requests, or blank? The add-ons are even more fun. 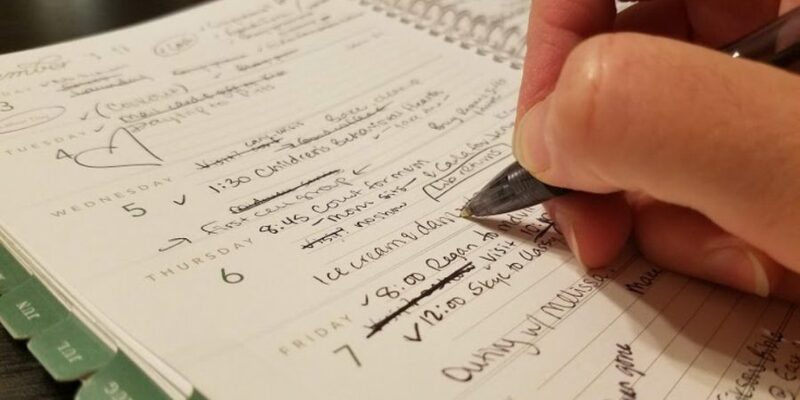 There are section add-ons like “My Home” or “Direct Sales” or “Homeschool” or “Prayer” or “Gratitude” where you get an entire tabbed section added to the back of the planner. (Each month is already color-tabbed.) Or you can distribute add-ons throughout the year, like monthly cleaning pages or bill tracking pages or blank pages for notes. Finally, you can add extra accessories to go with your planner, like stickers or sticky notes, snap-in dry erase dashboards, paper clips, pen and pencil loops, and more. This site is soo fun to play with. You should design a book even if you’re not going to order it! They are not cheap planners, but they are not outrageous either – $30-$60 for a customized planner doesn’t strike me as highway robbery. That’s three to five dollars a month. You could probably choose more expensive ones, but I maxed out my page number on the medium size at $60. What do you think? If you’re interested in getting the coupon email to see what Plum Paper is like, tell me so in the comments below. (No obligation to buy anything.) Also you don’t have to share your email address publicly on the blog; I can access it privately from your comment. I would be interested in looking that up!!! Sounds amazing… Love lists and planners etc but end up with to many different books.. this would be all in one… Lovely thought. Oh would love to check this out. Count me in. I have loved the Time Keeper as well, but would like to look at this one. Can’t quite imagine the fun of/complication of, designing ones own planner…might need your help. ? Hey! I did it!! Mine’s ordered! Have fun spending my $10. ? Thank you! ? Hope you love it! I would love to try this because I am kinda picky about my planners. ? I would like to check it out and perhaps order…..please send me a coupon code! I’m not a giveaway person but you got me on this one… I love planners too! Count me in! I would like to order a planner today. I’d love to get that coupon code! it seems like the perfect planner for me! I have to be honest I used plum paper for the 12 months I had it and I’m sad to say I won’t go back. I did the academic year because I personally really like going along with the children’s school schedule. I also added a lot of extras. Which I never used, it felt too overwhelming. I prefer simple. I did however like all the customization you could do…. but the column set up is not for me. I seem to write too much. I also found that I do better with a ongoing to do list for the week (like in the Time Keeper planner) and the paper used in the plum paper was really slippery and certain pens would smear on it. So for me I’m back with the good faithful Time Keeper planner, which I love more than ever! Aw, really? I figured you were hooked for life! Good to know that simple is better and the add-ons can get excessive. I still want to try it because there are always a few things about a planner that are just. not. quite. right. that I want to tweak. And I prefer not to keep multiple books I’m writing in – like separate tablets for prayer/gratitude/brainstorming/etc. I would like to check this out! Please share! I have one in my shopping cart and have been looking for a coupon code! Shari, I, too, have a Plum Paper Me planner in my shopping cart, but would greatly appreciate a coupon code to offset the cost. Thank you! Shari, I am trying this again with a different email address and with nothing in a Plum Paper shopping cart, hoping that maybe the coupon code will work. Thanks for trying again! No problem – they accepted that one so we’ll see! Thanks for getting back with me. You’ll have to follow the referral link in the email they send you. I would definitely be interested in trying it out! I would like one! Thanks! I would like the referral code, please! Hi, everybody! I’ve decided to close this offer, as some readers are having trouble getting the discount. 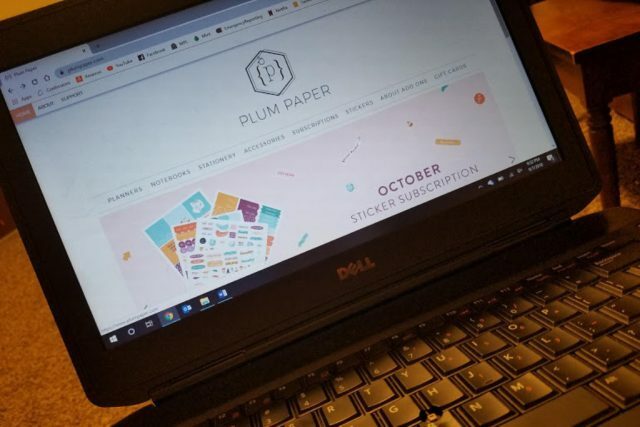 The discount doesn’t involve a promo code, just an invitation to sign up for Plum Paper, and if you’ve already gone that far, you can’t get the discount through my referral. Thanks to everyone for their interest. Let me know how your Plum Paper planner works for you!